South Boston Pads buyers agents will explain the process of buying a home, and familiarize you with the various activities, documents and procedures that you will experience throughout the transaction. Of all the decisions you’ll face when buying a home, there’s none more important than the person you choose to represent you. Your agent will support you in finding the right home with the best possible terms, and to aid you through the entire process. 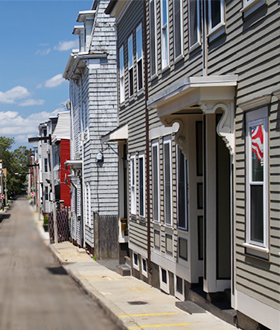 There are many factors to consider in selecting a South Boston and Greater Boston area property, including location, bedroom and bath count, schools and amenities. Our associates has extensive community knowledge about South Boston and professional resources to research available properties, only showing you the homes that best meet your needs. When you find a property that interests you through our MLS search or your own research, let your agent know so that a showing can be arranged. We understand that as you view different properties, your criteria may change. Maintaining open and direct communication with your South Boston sales associate is a key element of a successful property search. Search MLS Listings for real-time properties on the market or fill out our contact form below for a consultation.